A blessed and happy Feast of Saint Andrew to one and all! I hope and pray that everyone is having a great Wednesday. 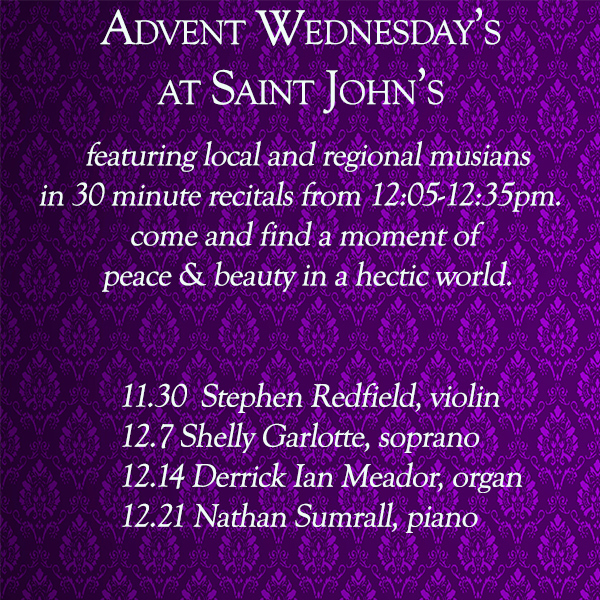 To aide us in our Advent devotions, we will host the first of our Wednesday concert series today with Stephen Redfield, violinist of note, from 12:05-12:30. The concerts are meant to give of a respite from our day and allow us to enjoy art and beauty for a moment… I hope you will take full advantage. 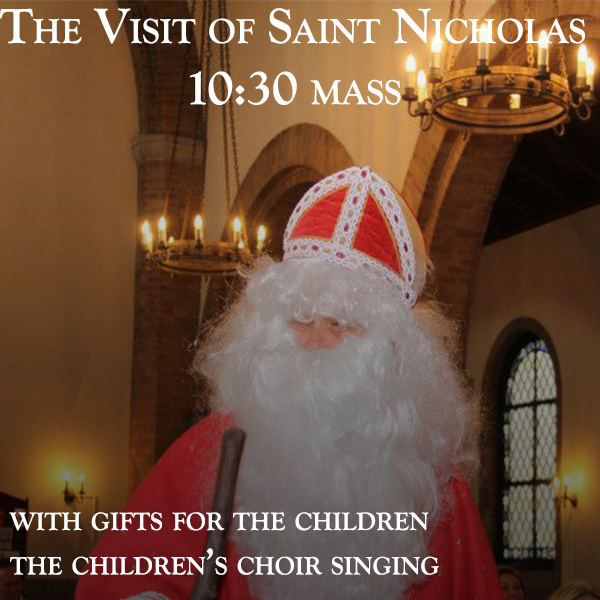 This weekend is a one of the greatest… besides all of the activities in and around town, on Sunday morning at the 10:30 mass Saint Nicholas will make his annual visitation and give gifts to all the children present. 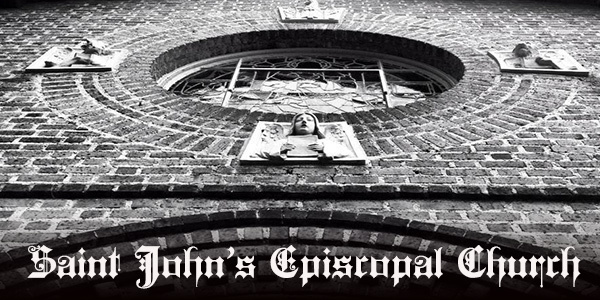 It is a wonderful tradition here at Saint John’s and one that is not to be missed! Later that afternoon, at 3:00pm, our Sunday School children and their families will have an opportunity to gather for our Advent Family Project, making Advent Murals and learning about the history and meaning of Advent- this is a great opportunity to do something meaningful together and prepare for the birth of our Lord. 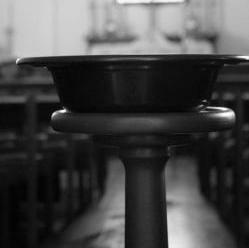 Then at 6pm, the parish will offer her Service of Advent Lessons & Carols. This service is meant to help us learn, recall and deepen our understanding of the story of our Salvation and is also meant to be a prayerful time of reflection and an offering to our Lord. 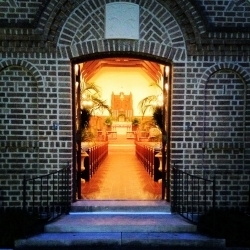 It going to be a rich and full weekend and I look forward to seeing you around the parish! 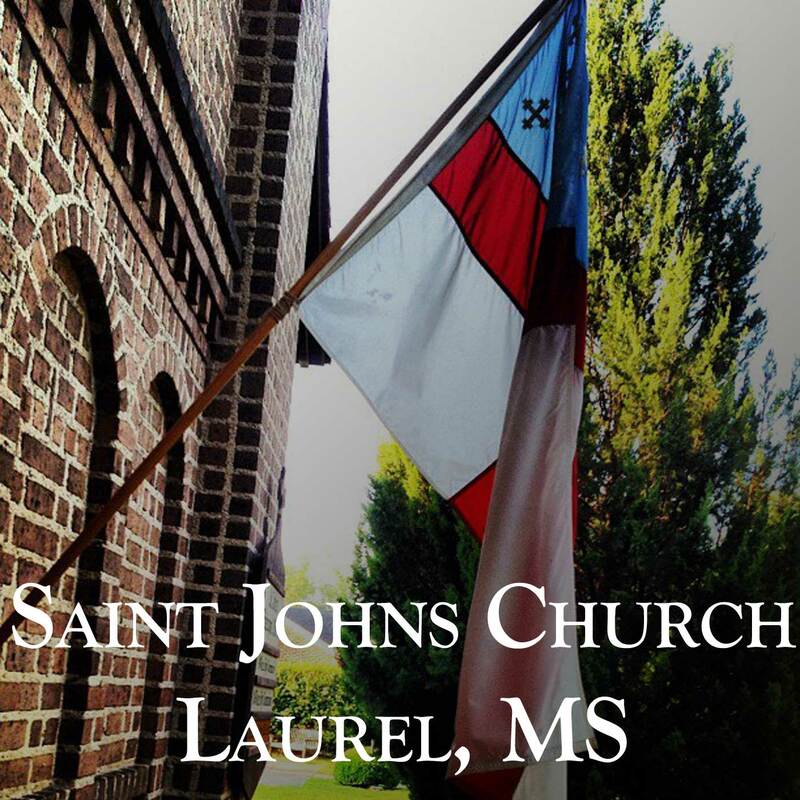 As has become an annual tradition at St. John’s on the Sunday closest to December 6th, St. Nicholas – the Bishop of Myra, will visit the parish to tell the children about different Christmas traditions and will be giving gifts to the young children. Please join us at the 10:30 Mass Sunday, December 4th and help us welcome St. Nicholas! Family Advent Activity – Will be held Sunday, December 4th at 3:00pm. 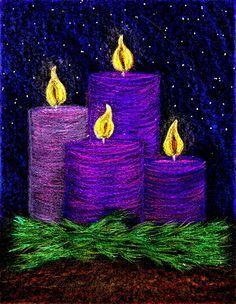 We are asking families with children ages K/3-6th grade to gather in the parish hall for an Advent activity to be done as a FAMILY. Each family will make an Advent mosaic, which promises to be an exciting time, with snacks, fellowship and art activity. 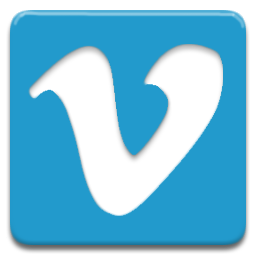 All material needed will be supplied, all we need is YOUR family, if you have young children. Please mark your calendar!! 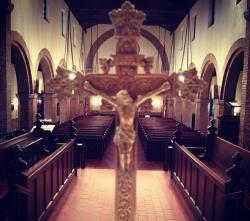 And plan to stay for Advent Lessons and Carols following our Advent Family Activity, you’ll be glad you did! Saint John’s has a long-standing tradition of creating poinsettia trees at the altar for Christmastide, as well as making liberal use of festive flowers throughout the Nave. The poinsettias are donated by the faithful in thanksgiving or memory of a person(s) or an event. 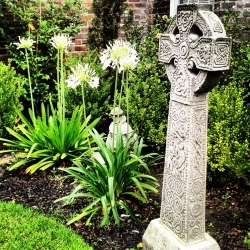 During Christmastide the parish includes a listing of these memorials/thanksgivings in the bulletin. 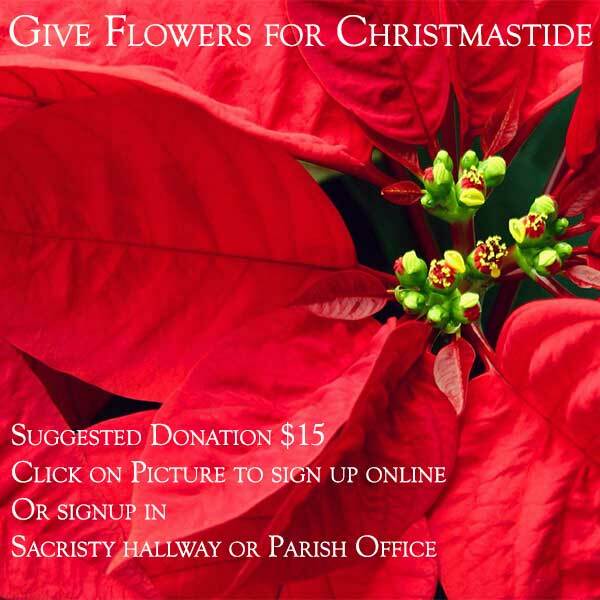 If you wish to offer a poinsettia for Christmas, please record your memorial/thanksgiving on the bulletin board in the Sacristy hallway, on-line through the link in Notes From Patmos, or call the parish office. 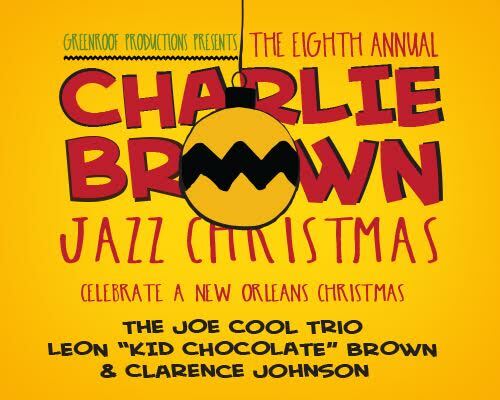 Then mail, stop by the parish office, or place an earmarked check or cash in the offering plate. You may donate a poinsettia by using Paypal (no account needed) and your credit card by clicking on the Paypal button below the form and following the instructions (if you do not have an account, look in the bottom left-hand quarter of the screen for instructions on using your credit card). Suggested donation is $15. The EYC is selling 26″ Noble Fir Christmas Wreaths at a cost of $35/wreath. The Wreaths will be delivered and available for pick-up during the first week of December. Click on the picture to place your order! A great BIG ‘Thank You!’ to the 9 families and groups who have already adopted a family for Christmas. 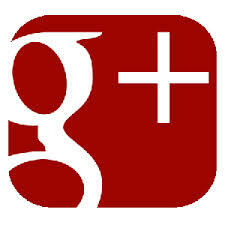 You will truly be doing God’s work during a happy but hectic season. There are 10 more families who would love to have a share of the happiness that is Christmas. If you have not taken part in this action of loving one another in the past, please prayerfully consider this opportunity. The deadline to bring gifts to St. John’s or to Becky Jackson will be Monday, December 12. Pam Oglesby, Jane Hayes and Becky Jackson will deliver the gifts to Good Samaritan for distribution to the families before Christmas. Thank you in advance for providing a joyful Christmas for a family that would otherwise be without gifts.